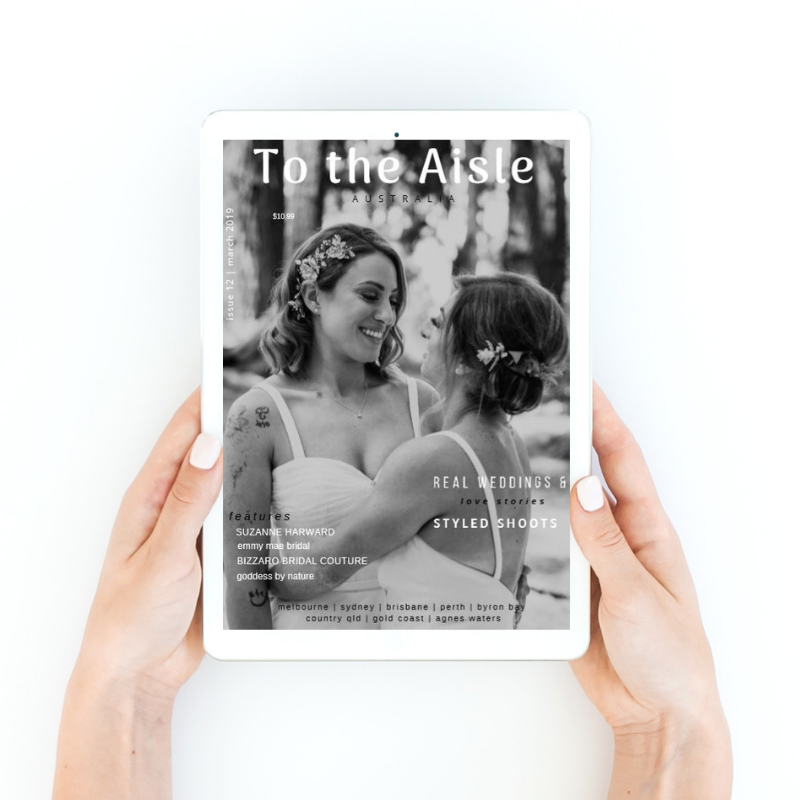 ➳ What are some of the highlights you had during the shoot process: Highlights for me was working with established brands passionate about bringing our vision to life. 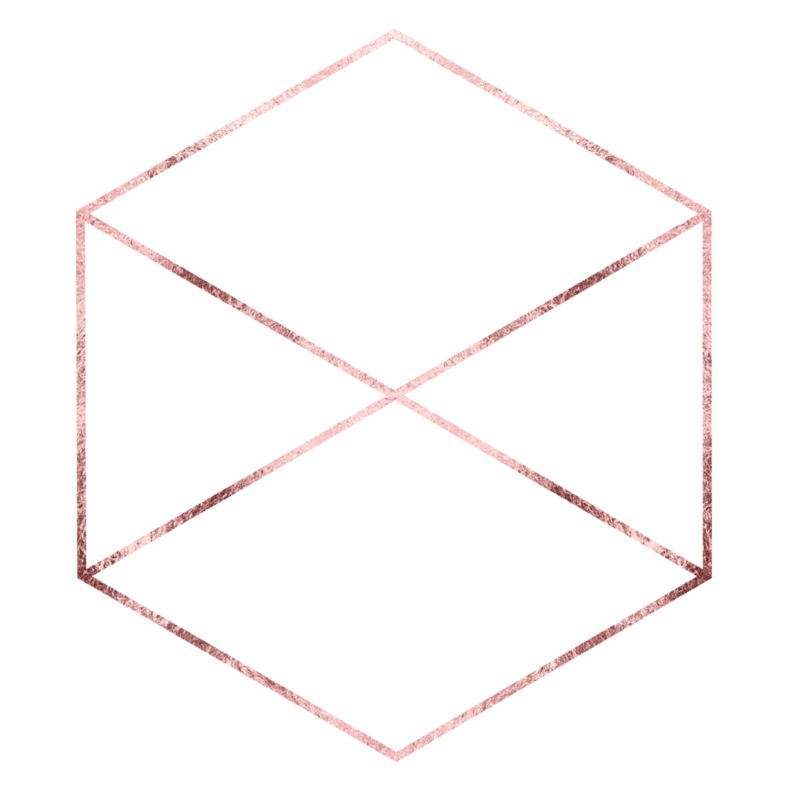 There were no limits as to how far or restricted each of us could be within our chosen fields. 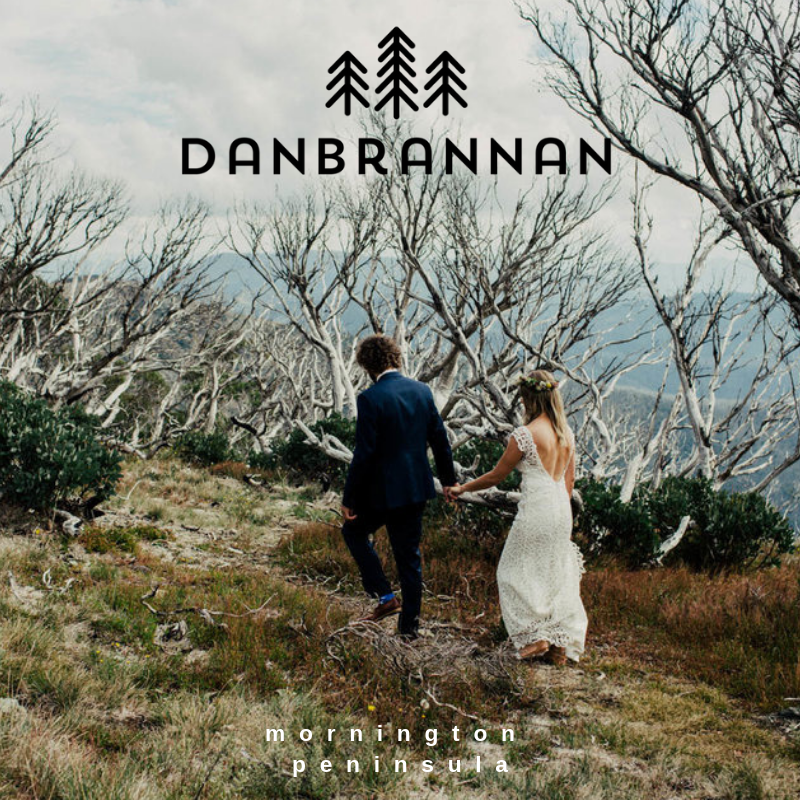 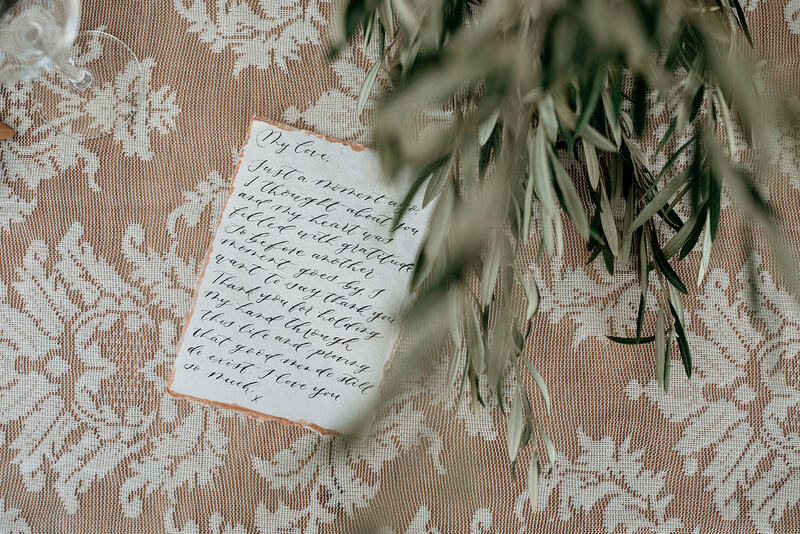 Danielle from Him & Her Events did not hold back on providing the perfect setting to reflect the style of the shoot. 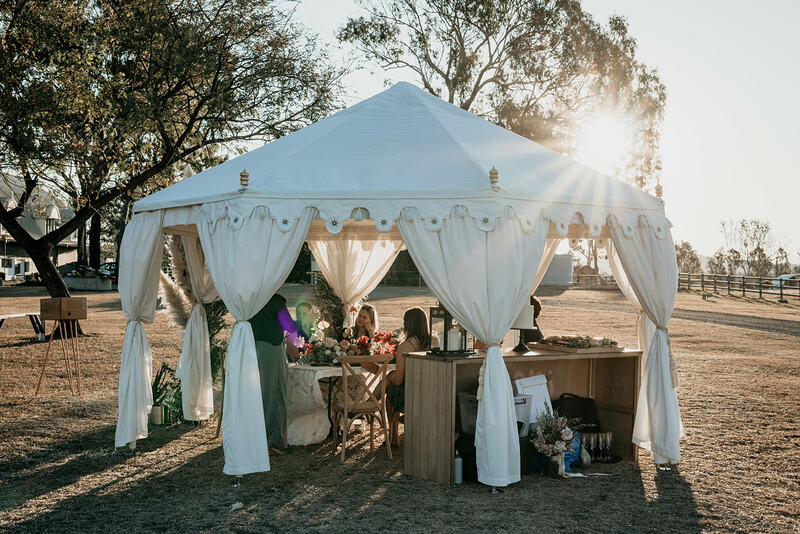 Originally our luxury tent supplied by Carl at Exotic Soirees was going to be saffron in colour however, Danielle was adamant white would work best and she was totally right. 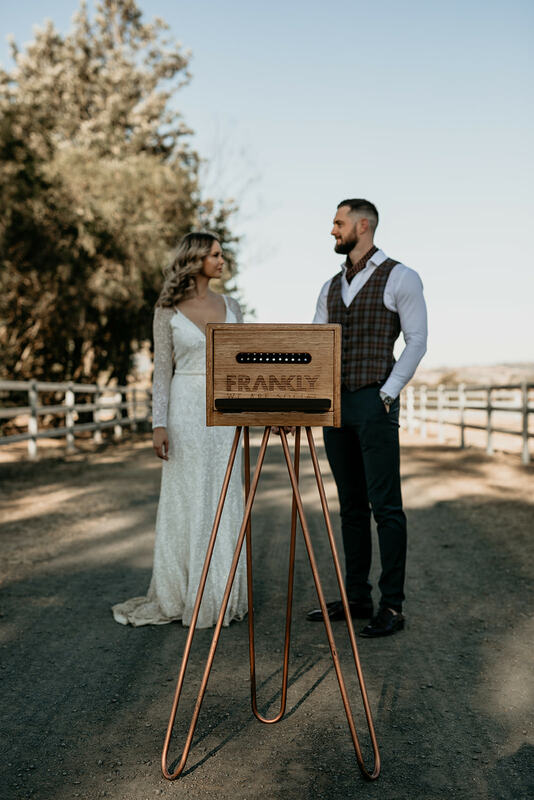 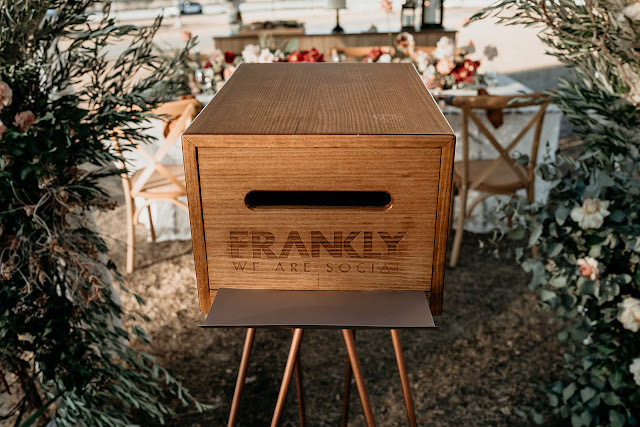 Nikki from Frankly Social provided a hashtag printer in a timber finish which really stood out against the backdrop of the amazing floral arrangements created by Nicole and her team at Stem Design Florals. 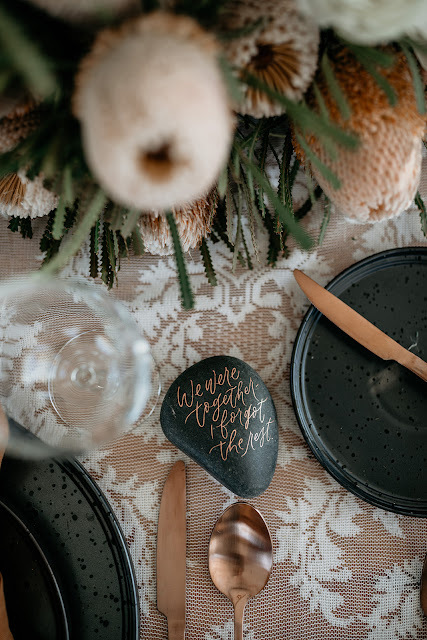 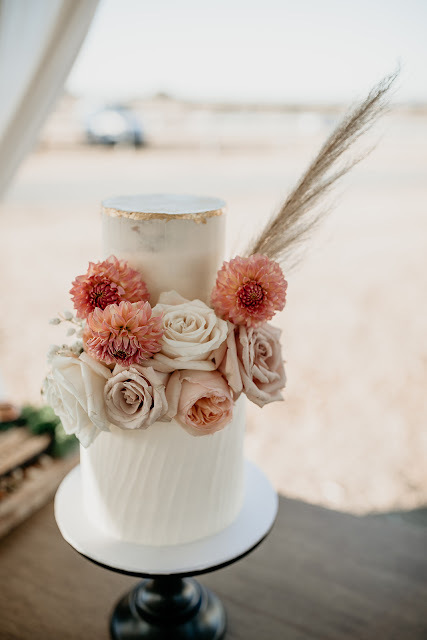 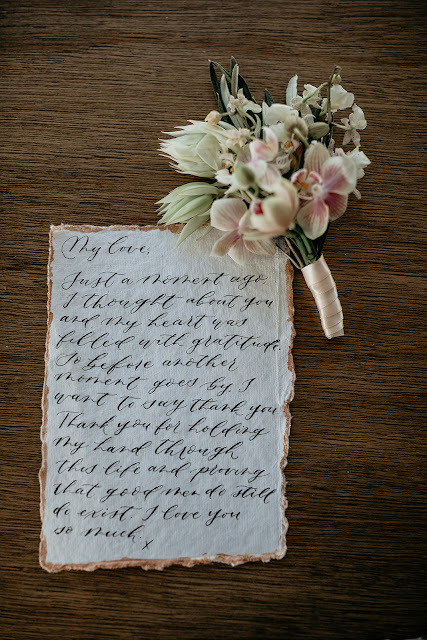 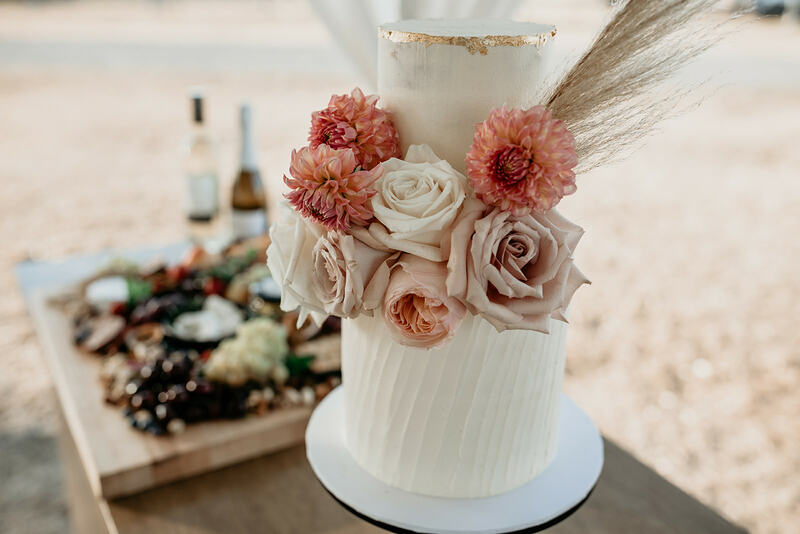 We had the suuuuuper talented Melissa from Oh How Sweet travel from afar to deliver the cake personally as well as Lauranne from The Pleasantry delivering the calligraphy, rocks and hand-lettered love note. 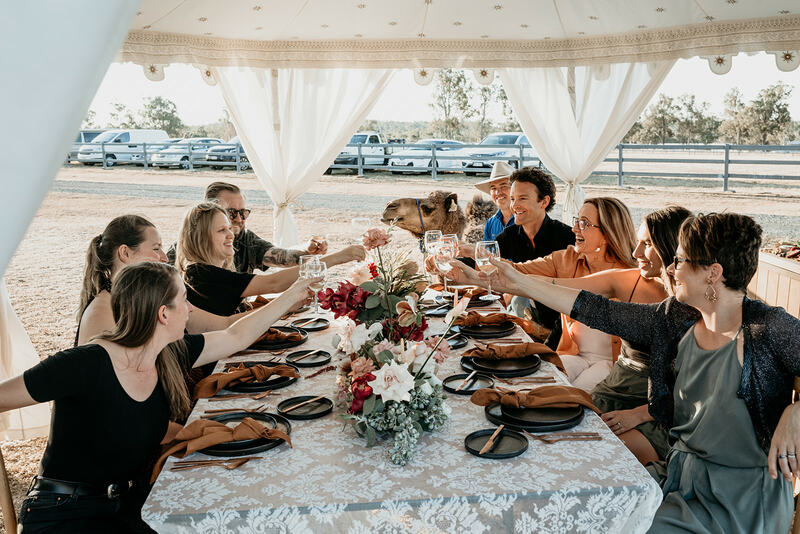 I love having the opportunity to meet with creatives, it makes the shoot feel all that more personal to meet the passion behind the brand. 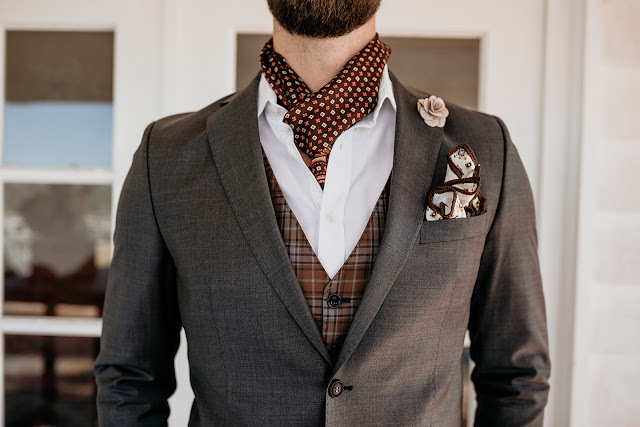 man in the know when it comes to menswear. 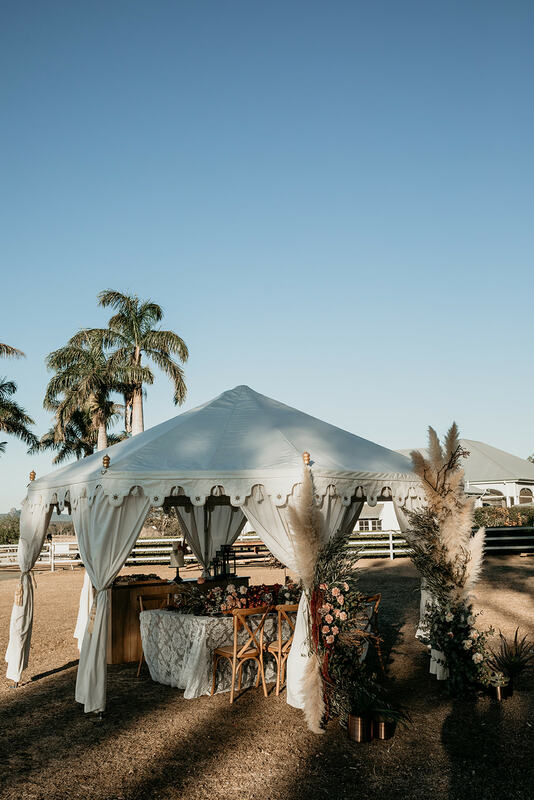 ➳ Tell us about the venue/shoot location? 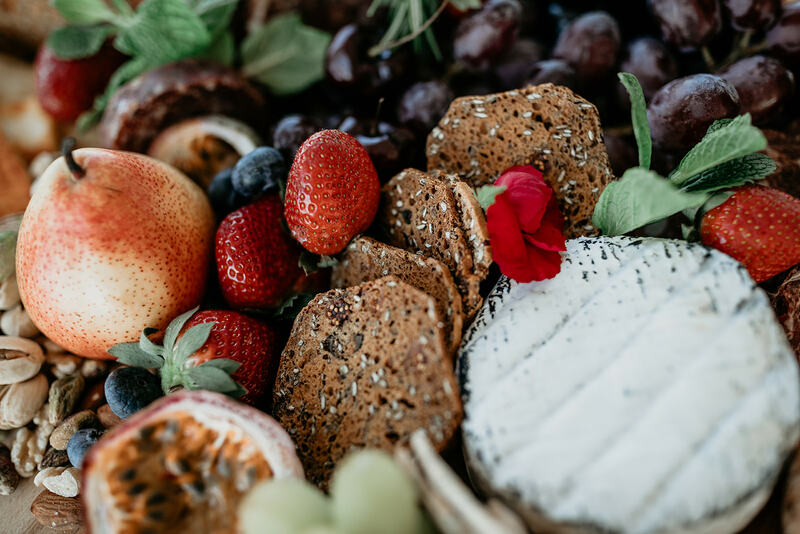 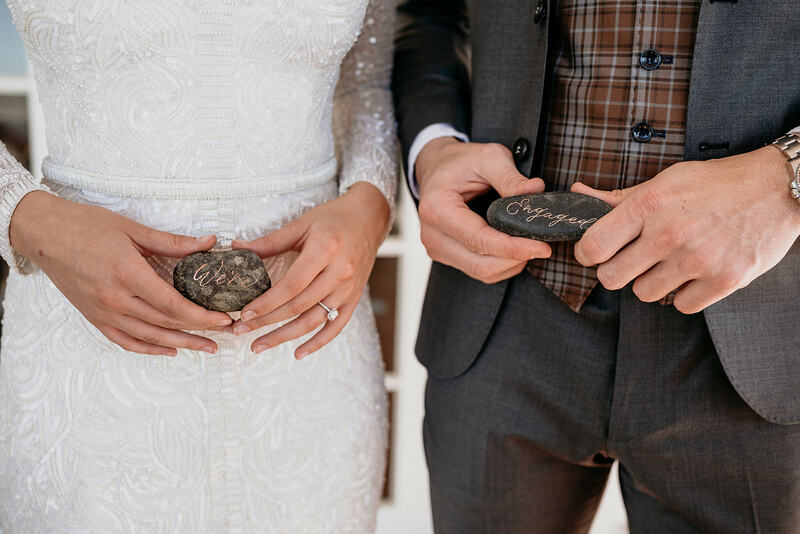 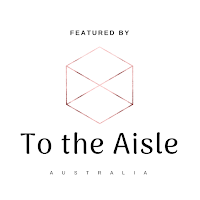 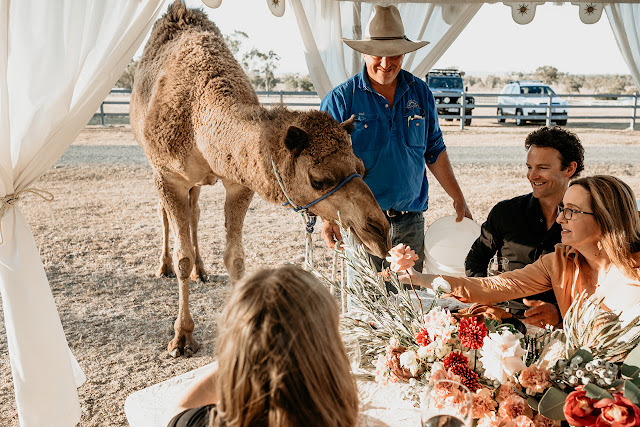 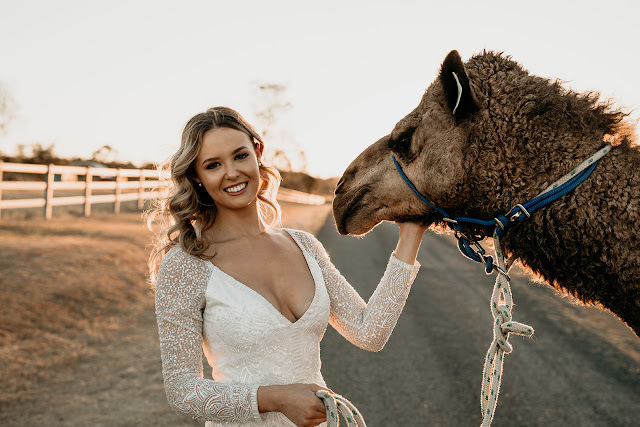 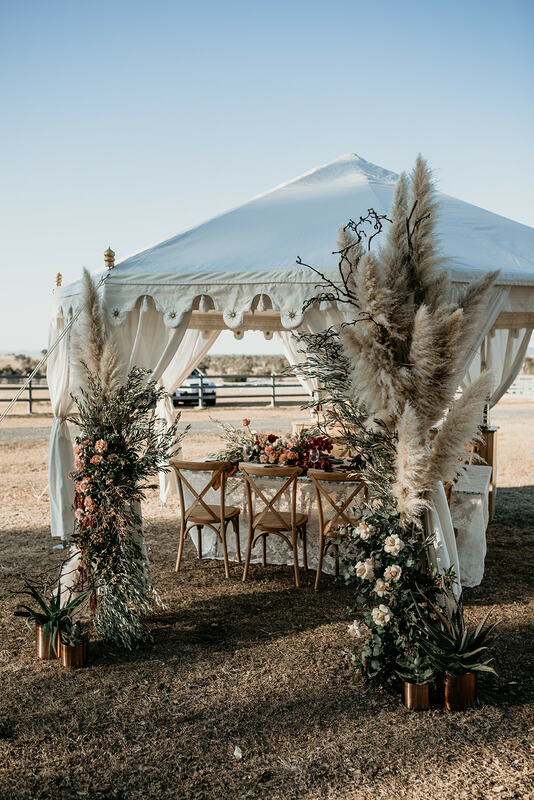 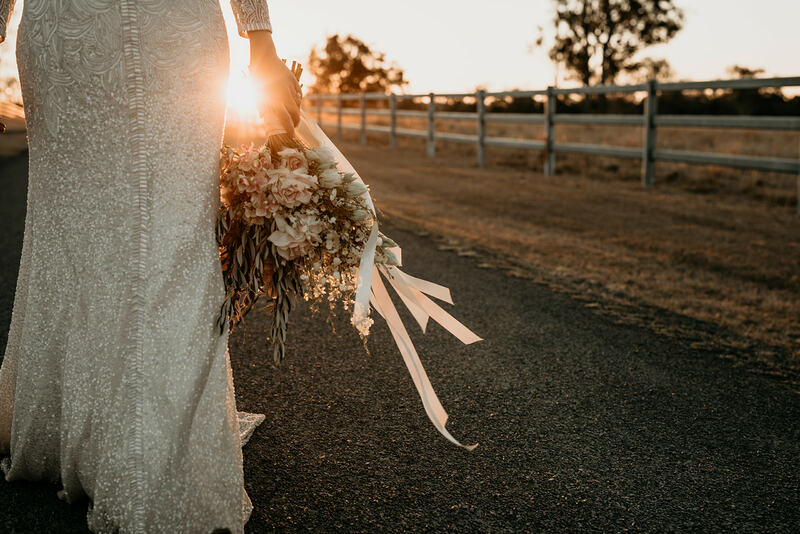 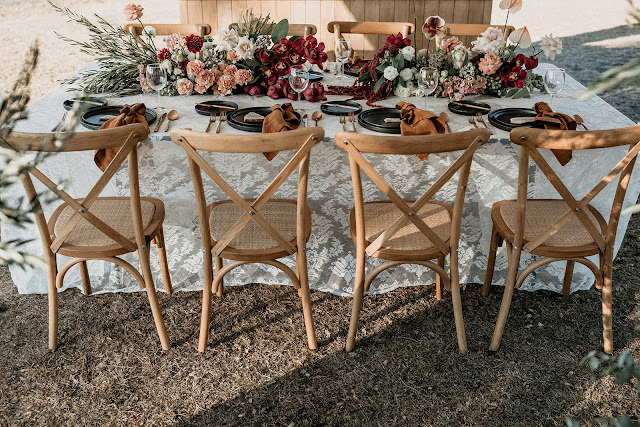 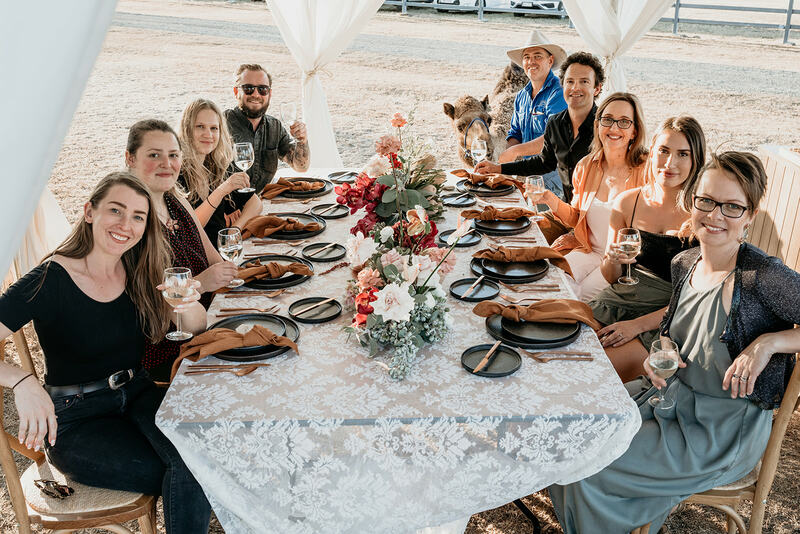 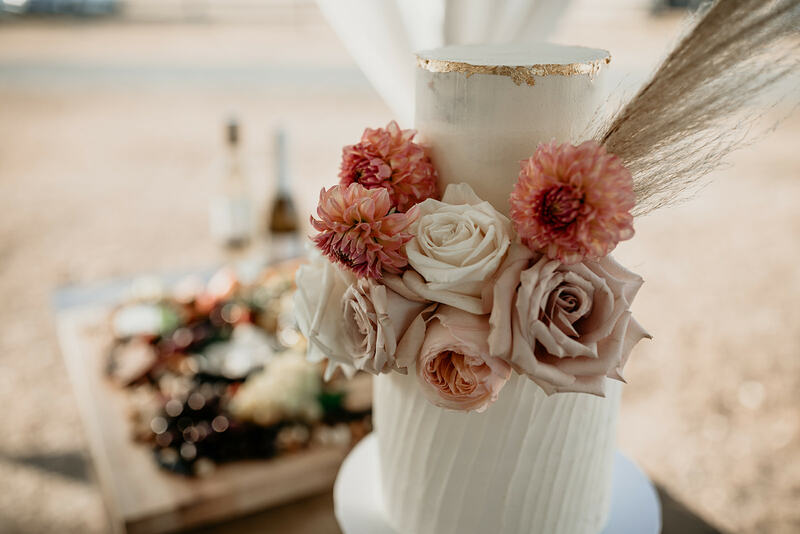 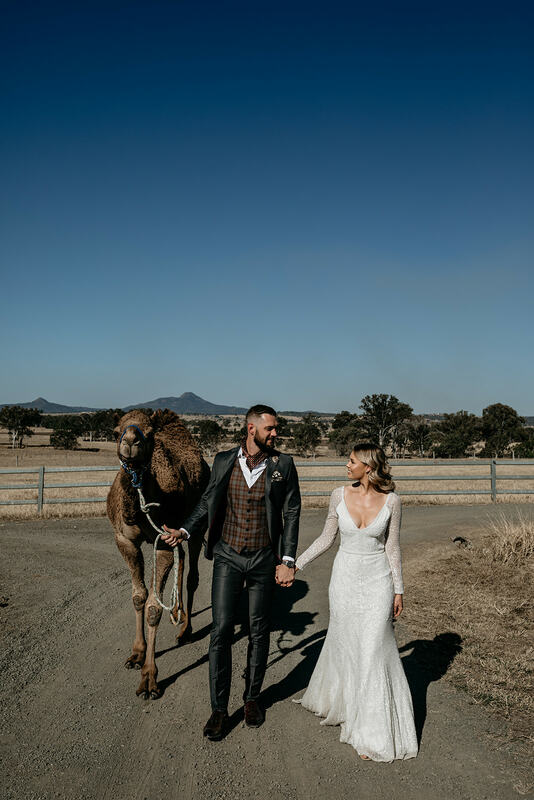 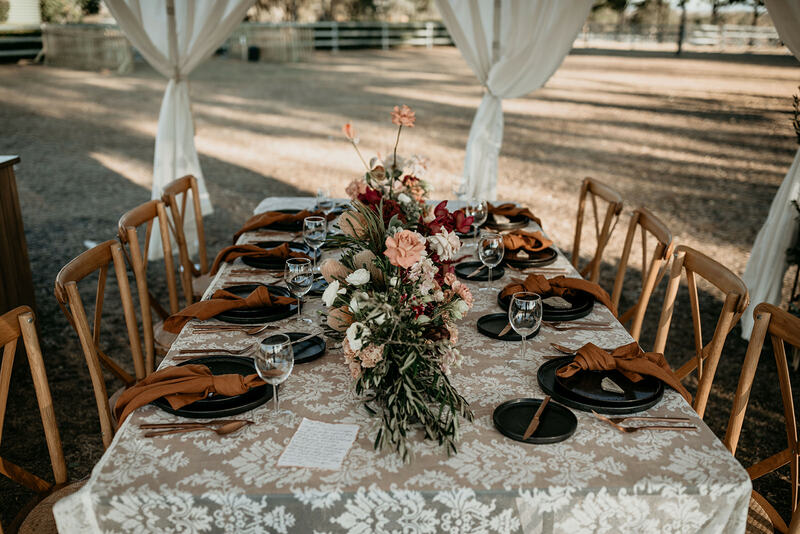 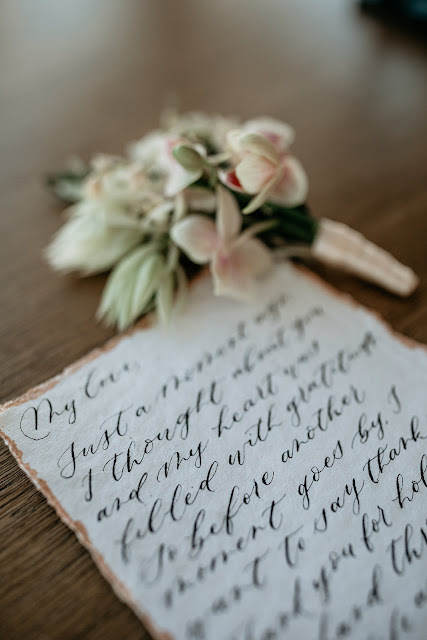 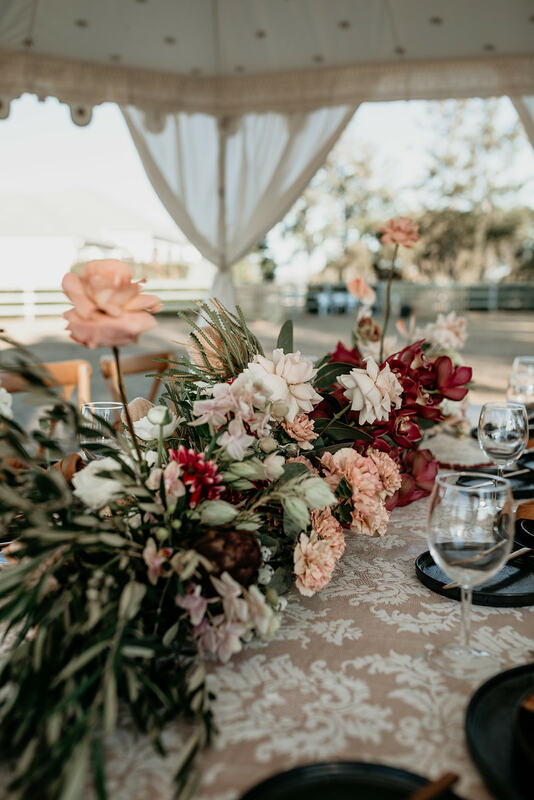 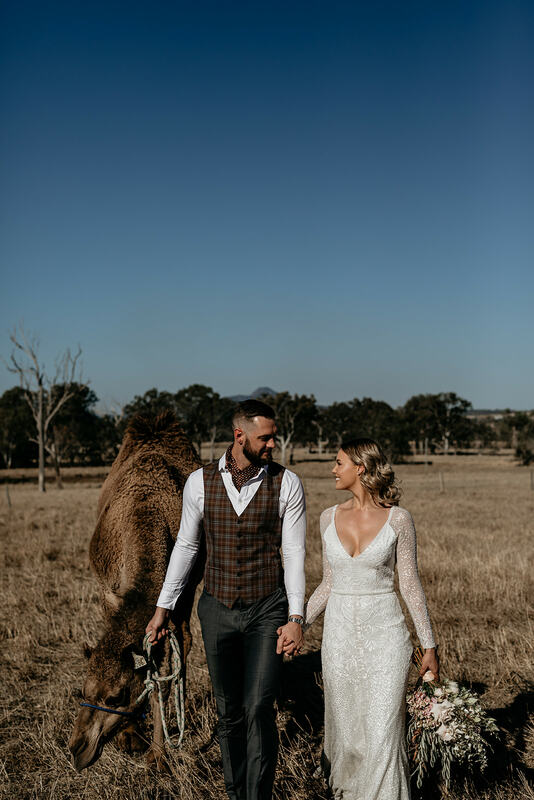 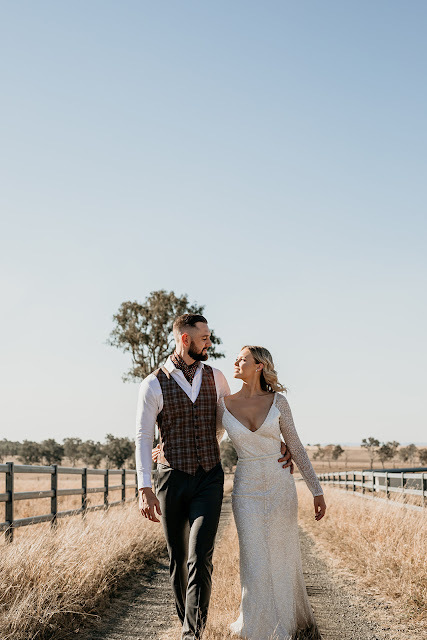 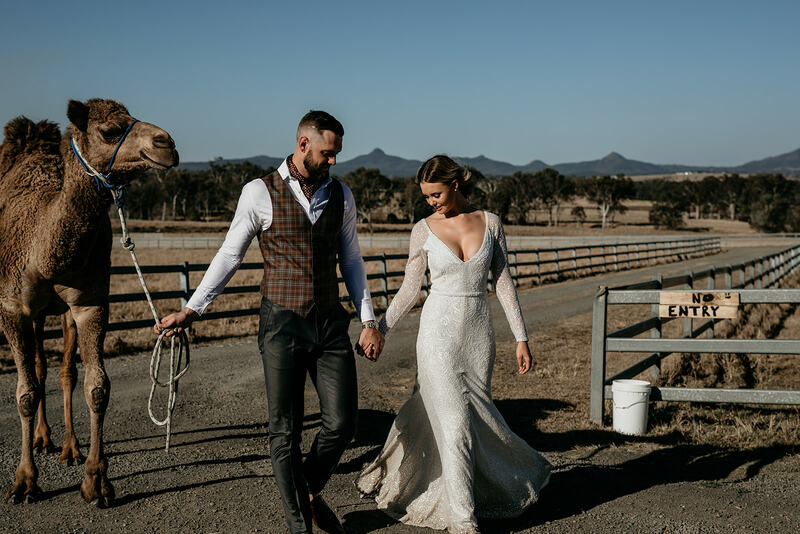 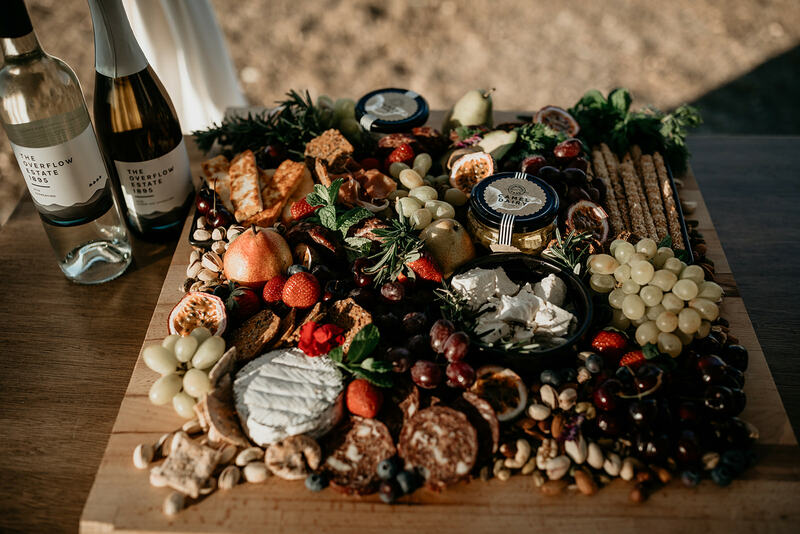 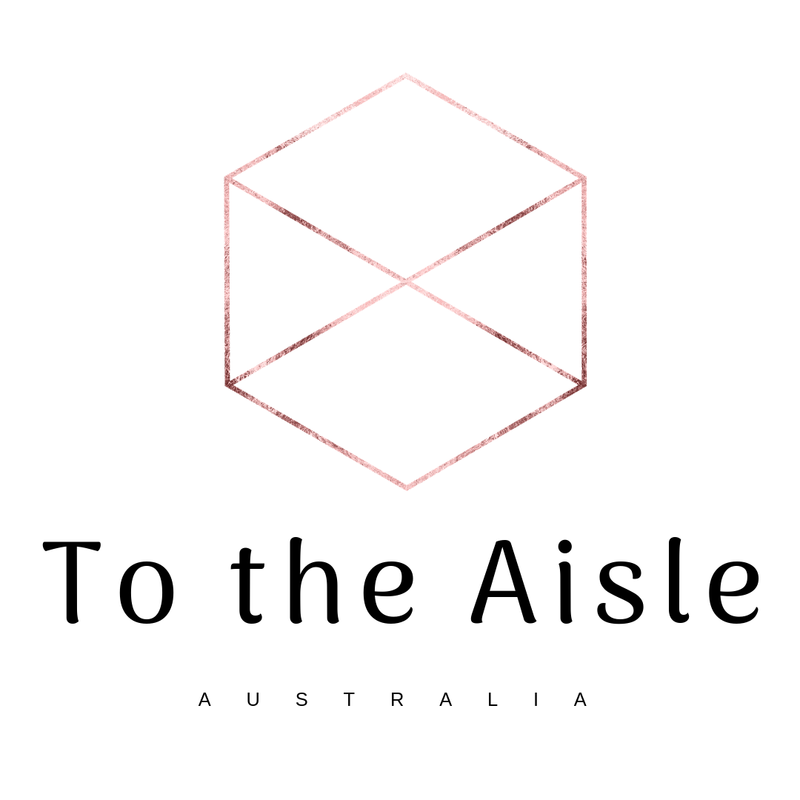 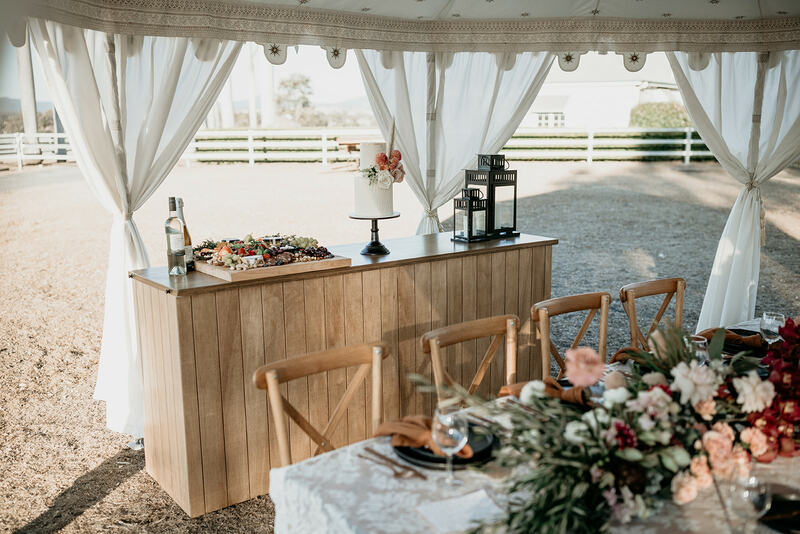 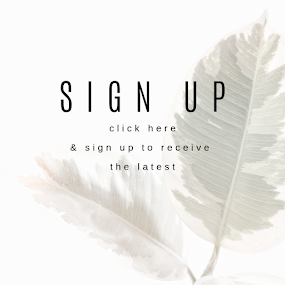 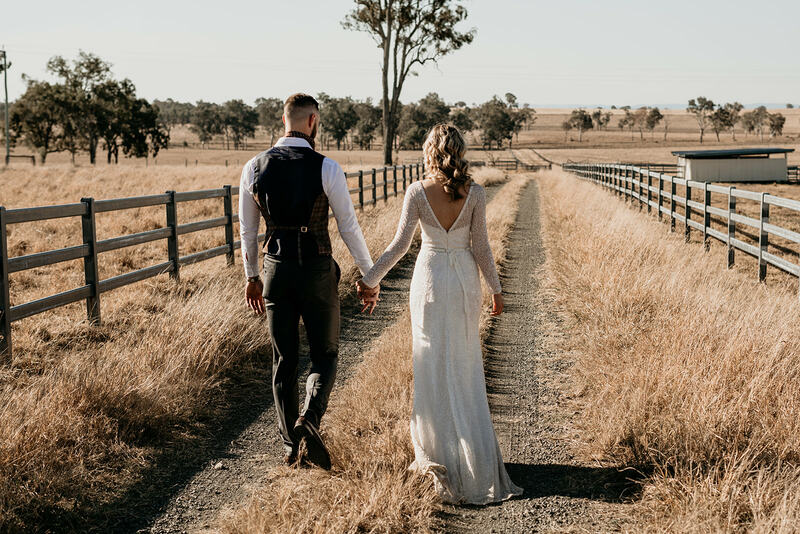 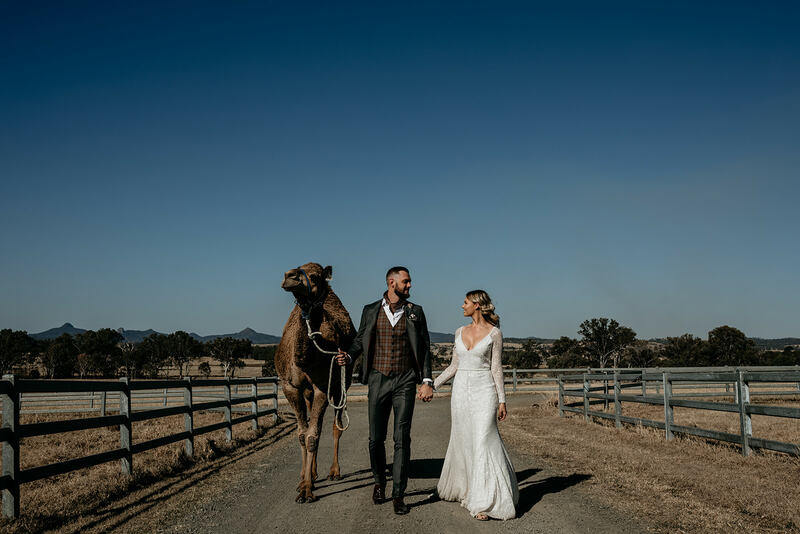 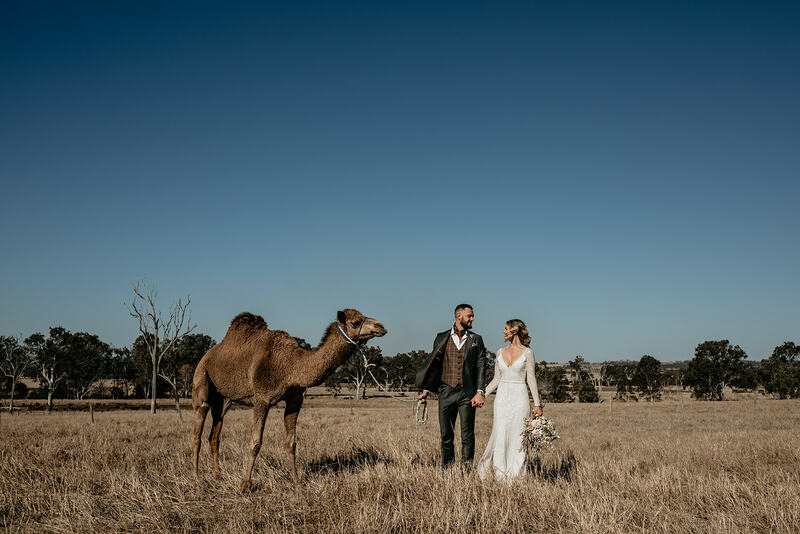 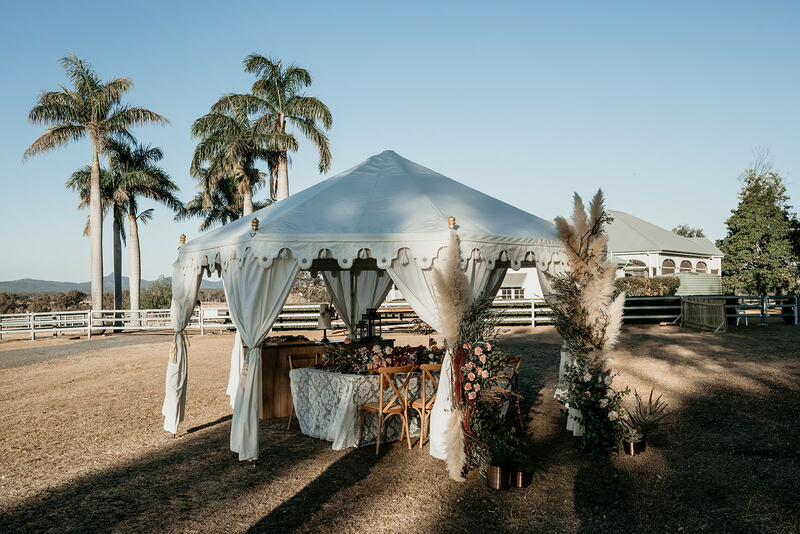 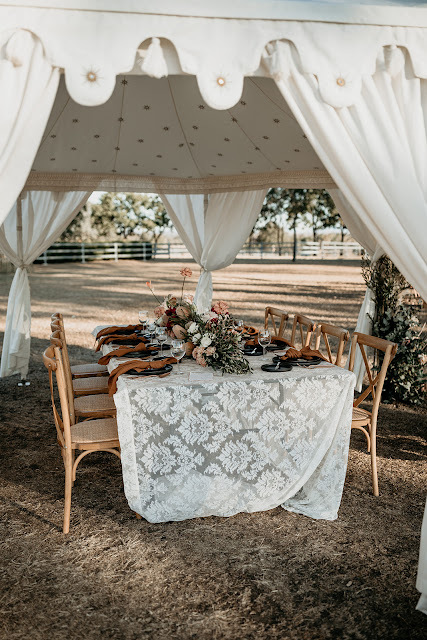 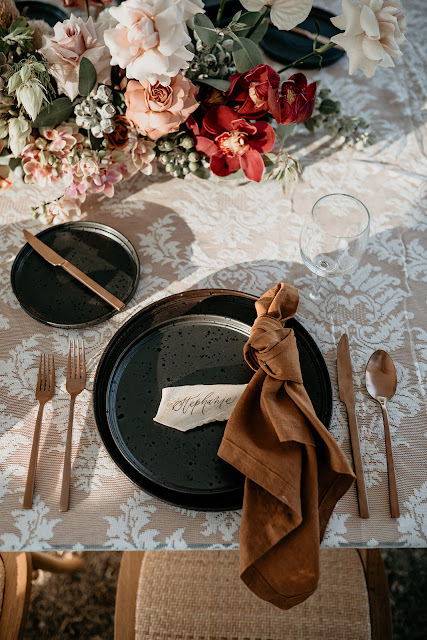 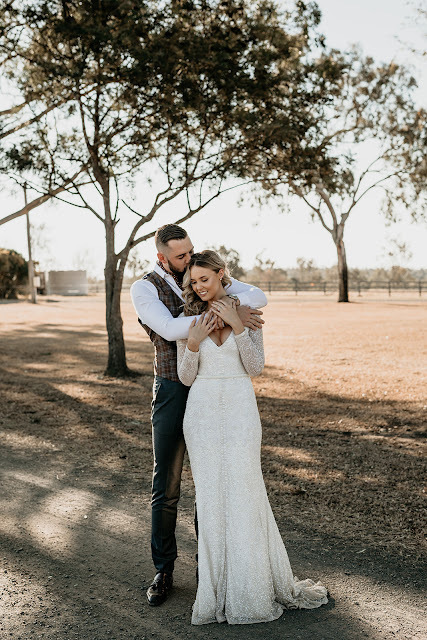 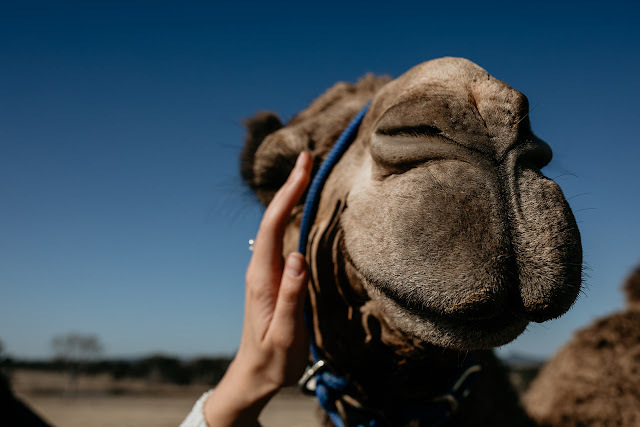 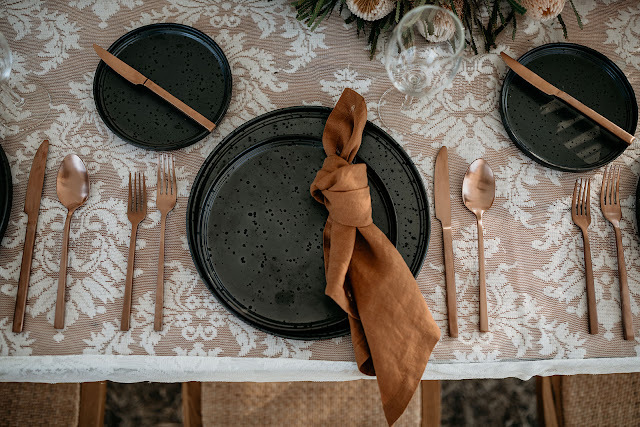 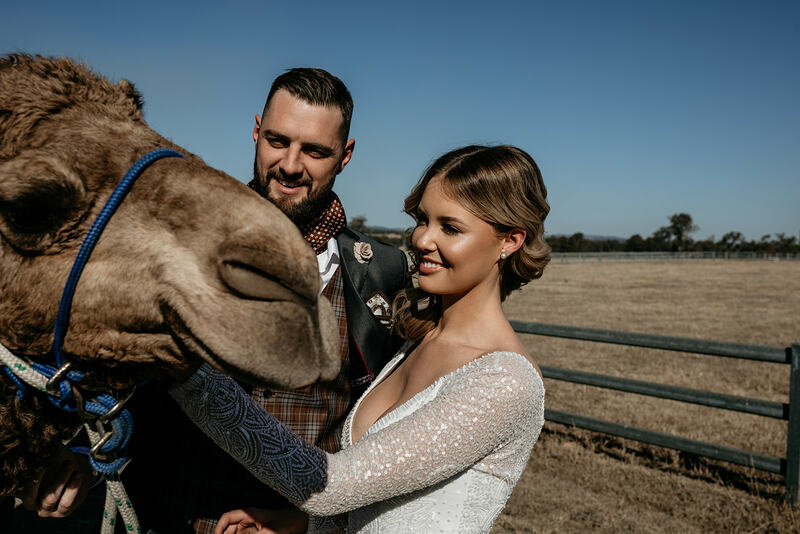 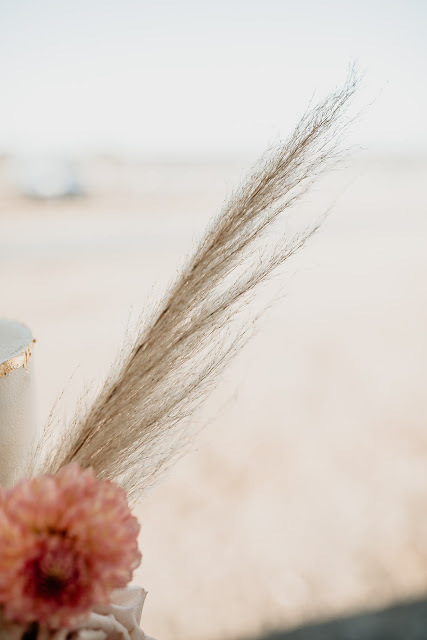 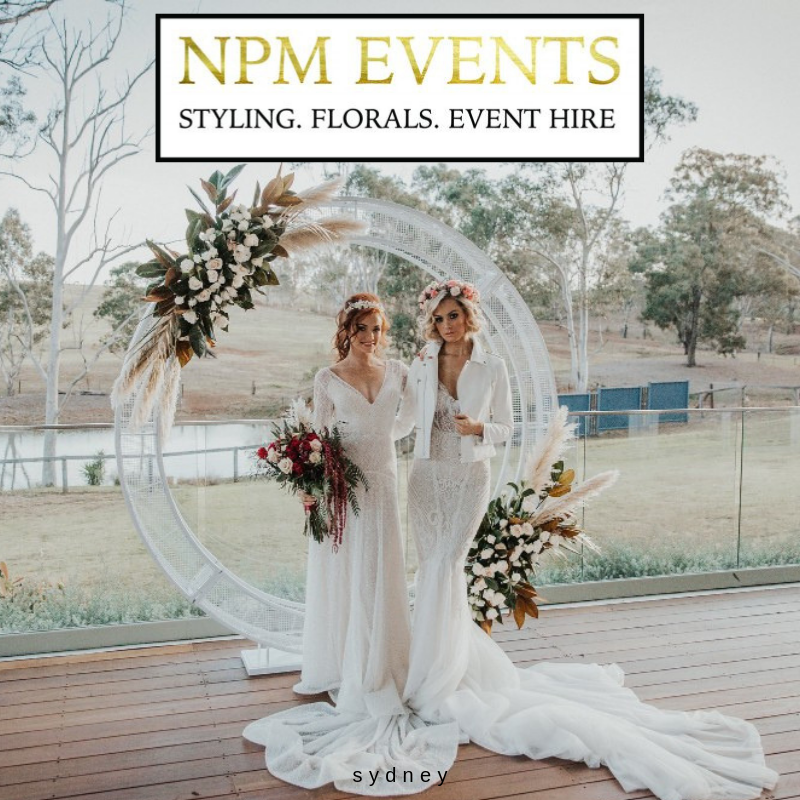 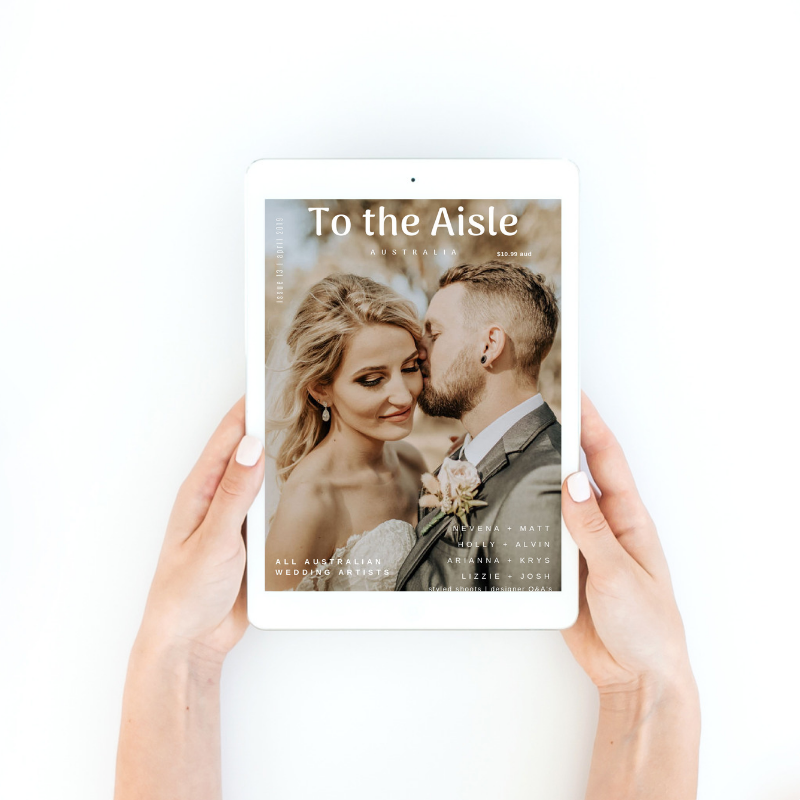 Initially, this venue choice offered the perfect setting to create our vision to capture the love in our luxe country styled shoot and the opportunity to incorporate camels into the day as well. 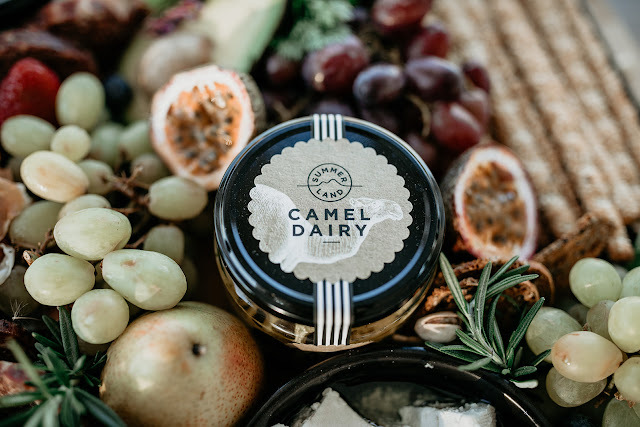 Everyone involved on the day were passionate about the care for the animals that produce the camel feta from the camels' milk and it was easy to how enthusiastic and caring the owners were about the camels and other products worth promoting like an amazing skincare range and gelato. 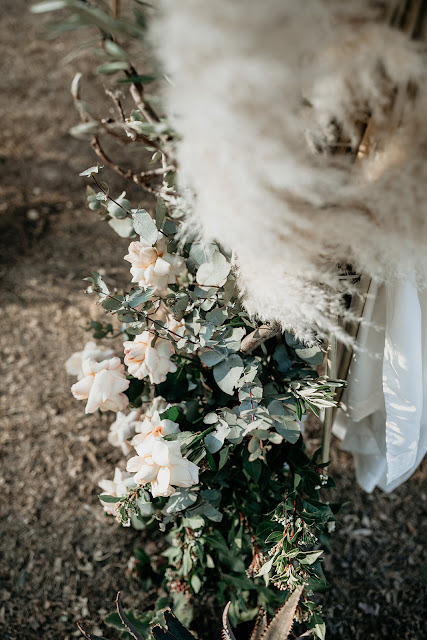 ➳ What was your favourite detail about the shoot day? 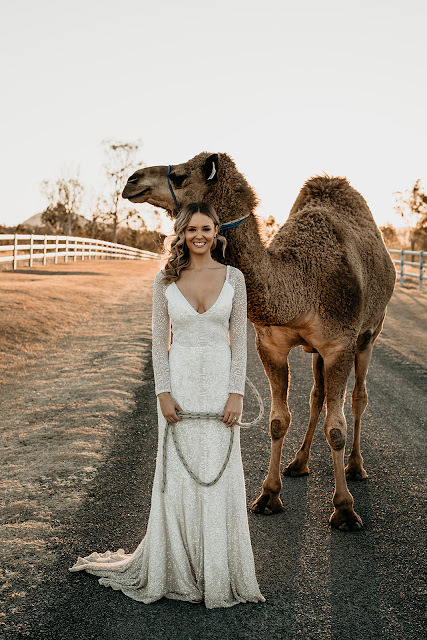 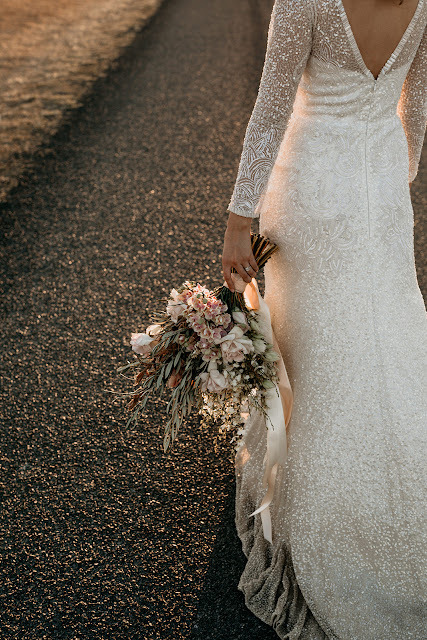 The most favourite detail would have to be our stunning Bride to-be, Eden. 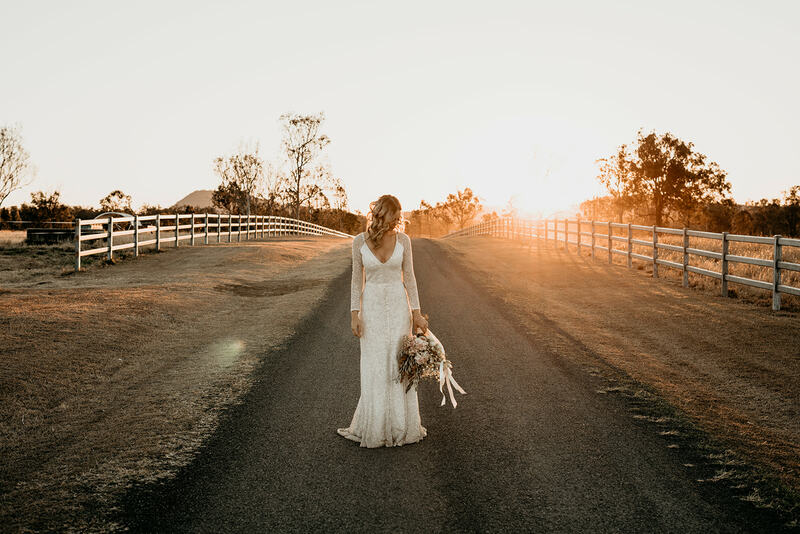 The dress by Karen Willis Holmes was the perfect fit for Eden and the sunset shots... Eden was even more breathtaking. Eden's soft wave hairstyle and naturally sunkissed makeup looked effortless to create by our HMUA, Bek Kemp. 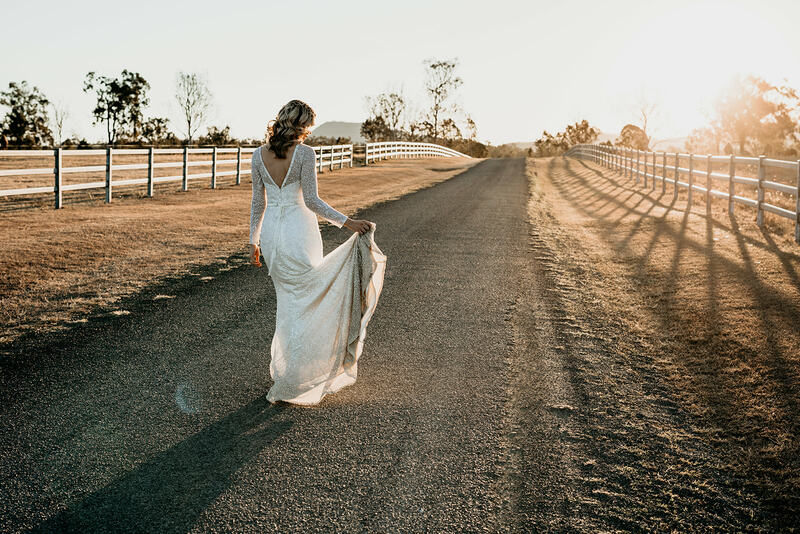 And of course, none of these beautiful moments could be shared if it wasn’t for our skilled and passionate photographer Ryan from Feather and Finch Photography providing helpful and fun direction for our models. ➳ Favourite moment/s from the day: Making time to step away from the set to mingle with the creative team over lunch prepared for us by Summer Land Camels. 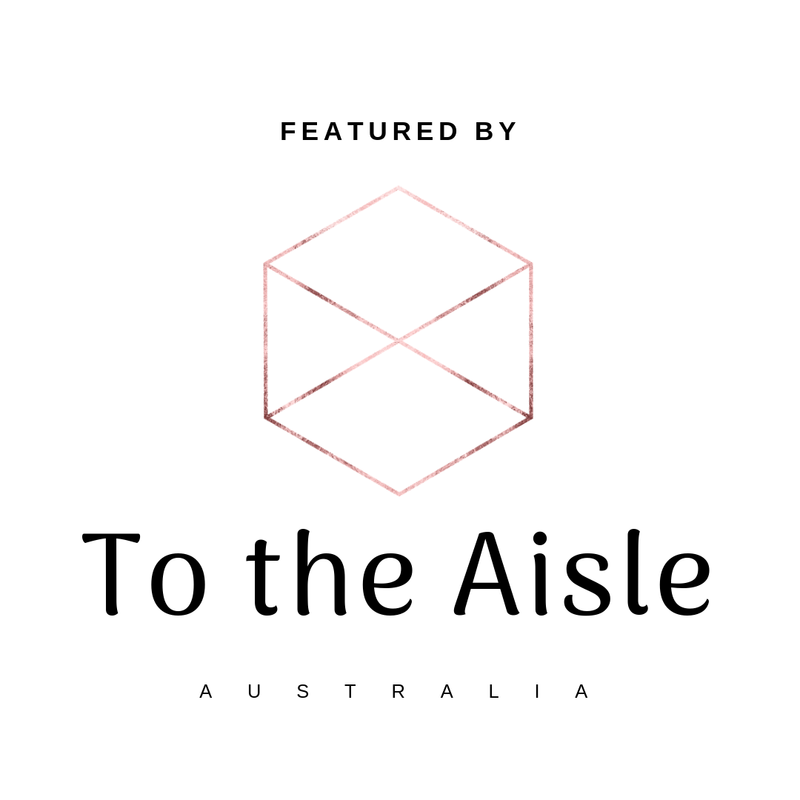 The conversation flowed and it was a great opportunity to get raw and real with other creatives within the industry. I have a suspiscion the best moment from the day is yet to come, James from Anchored Cinema is producing a short film capturing all the magic our dream team created together.